Your roof is often forgotten about because it is not at eye level to give you a subtle reminder every time you walk past it. Check for any curling or missing shingles. Check the flashing around your chimney and any openings in the roof, such as skylights for leaking problems. Check your ceilings for any water spots as that may be the start of a leaky roof. If you have access to your attic, be sure to check it for signs of mold or water damage. This is also a great way to see for yourself if your roof may need some repair. You’ll want to make an appointment with your local roofing contractor now if you suspect your roof needs repair. Waiting can cost you much more and many roofing contractors will not work in the Winter making it difficult to find have the work done. You’ll also want to clear leaves, dirt, and pine needles from gutters and examine downspouts for damage or loose pieces. Make your appointment now for a professional chimney sweep. For many of us in Vermont there is nothing like the warmth from a fireplace, woodstove or pellet stove. May people use their fireplace more than their furnace in the fall and winter months. It is important that your chimney is free of debris. Growing up there would be a bird’s nest in our chimney more often than any of us cared for. Dad would have to get it out. Occasionally we ended up with a sooty bird flying around our house. Mom didn’t care for that much, so it was time to replace the cap on the chimney. Make sure all your chimneys are in working order and that any vent pipes are free. We hope that these tips are helpful! 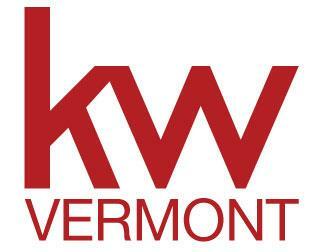 Remember if you or anyone that you know is looking to buy or sell, please send them to Strong Will Real Estate @ KW Vermont. Have a safe and fun filled Fall!